Happy Easter Day! This year Easter post has arrived quite late. 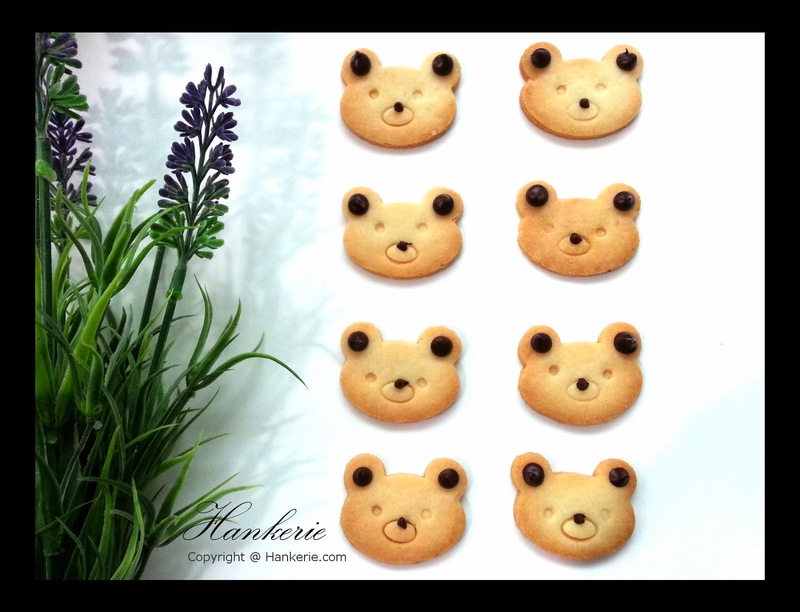 Instead of making these cookies into bunny shape, I've made them into teddy bear shape. They are lovely bite-size butter cookies without any egg contains, with minimum sugar as well. Simply love the thin crunch! 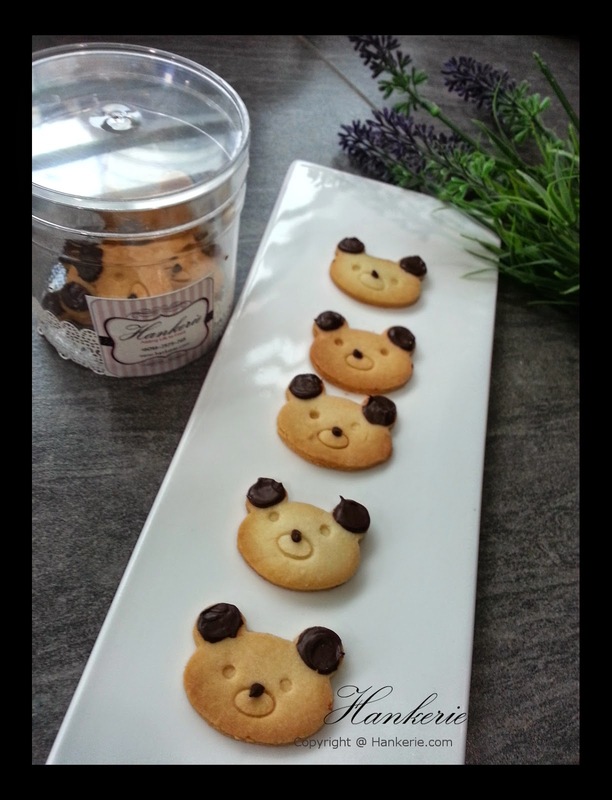 With just 5 ingredients, you can make these absolutely lovely and yet delicious Teddy Bear cookies for any occasion, not only during Easter Day. Buttery cookies brings the old-fashion smell. My mum told me that it tastes like Marie biscuits! Well to be precise, difference is the thinner crunch as well as the chocolate dip on top of the cookies. If you do have kids, you can bake together with the kids. Having fun with them and let their creativity flows on the shape, bear expression that they can imagine wildly. Prepare two big size of cookies tray. Spread it with some oil. Sieve plain flour and almond flour. Set aside. Cut the butter into cube, mix with icing sugar. Beat it until creamy. Mix all the dry ingredients into mixture. Once mixed, keep the mixture into cling film and store in the fridge for 20 minutes. 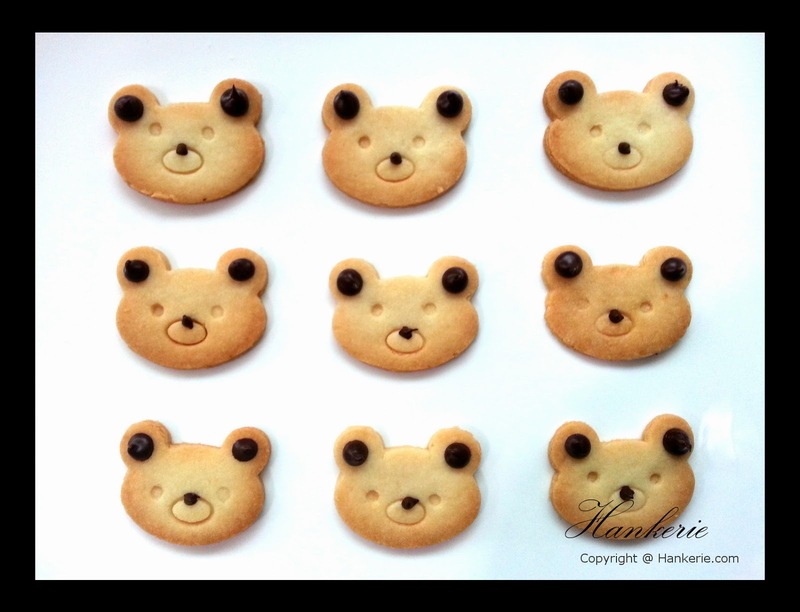 Flatten it into 4mm, and use bear shape cookie cutter to cut the shape out. Put on top of the cookies tray one by one, craft out the eyes and nose as well. Bake cookies for 10-12 minutes at 170C or until golden brown. 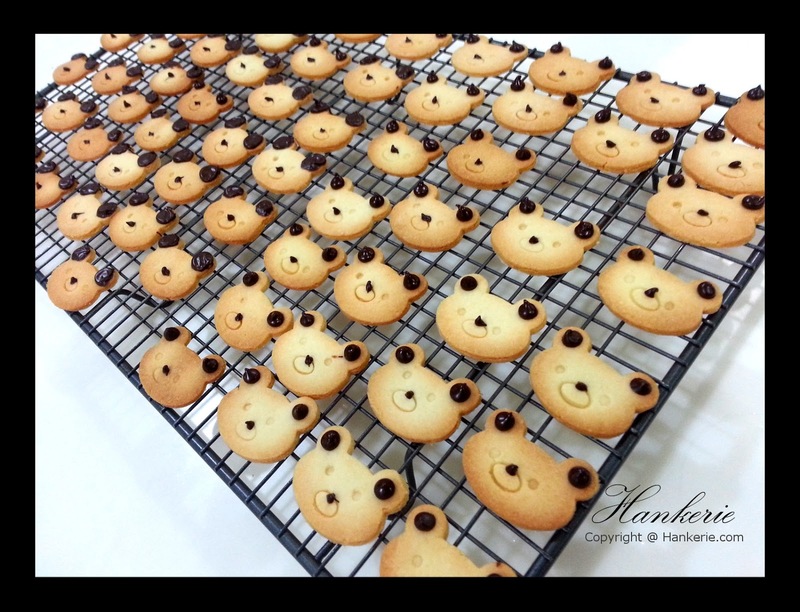 Remove cookies from oven and turn out onto cooling rack. Melt the chocolate chip and put into piping bag. Decorate the cookies with eyes and nose. Thanks @Torviewtoronto. Long time no hear from you. How have you been?